Margaret is an Inspirer Influencer and gypsy at heart. Having talked all her life and now as an International Speaker and published Author she fills her time in support of others wanting the most from their lives. Her gift is to take people on their journey of self- discovery through presentations around �How we behave and communicate �and �Why we should love ourselves first to create greatness around us�. Having raised three daughters alone holding down three jobs Margaret has worked across all roles including care of those with disabilities both in Australia and overseas. She has jumped off a moving cruise liner with no life boat or ice berg in site, has pushed a quadriplegic from an airplane and drank beer in a bikie clubhouse somewhere in California all because she never takes the same road twice. Margaret always steps to the left in life where the unknown lives and because of this has stories to share that always keep people amazed and often unsure how she lived to tell a tale. 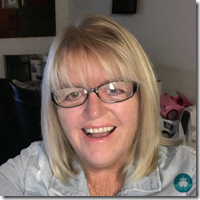 Margaret is New Zealand born having travelled extensively as a child due to her Fathers role within the Government living in and experiencing all major cities in that country. Margaret also lived twenty-five years in Australia�s tropical north travelling throughout Asia and Thailand however she now lives and runs her business from her home in Queensland Australia where along with family she spends her time gardening which in her words is �The cheapest therapy in the world�. Behavioural understanding of yourself and others for longer lasting relationships and connections.When we accept how we really behave and how others see us we can deal with others differently. Setting your sights to love yourself first in order to see love in others and acceptance of everyone.Only when you truly love all parts of your life can you feel empowered and in complete control. Setting goals to ensure that your life is your design and not just what comes to you.People need to spend more time setting out their most desirable life and putting steps into place to achieving that. Finding your inner strength and courage to make changes needed to move forward and inhibit your limiting beliefs. Do not let the voices in your head tell you it can not be done .You need to train the voice to speak only in a positive way. Dealing with grief so you can move on faster to life ahead.We all deal with this across all parts of our life however understanding how and why it happens moves us to acceptance and to Life again. Travelling calms your mind and enhances your creativity. It is a proven fact that when we look into vast spaces such as the Sea it clears our mind enabling stress to leave.Understand the process and give yourself ever chance to relax more. Bali is a place filled with beautiful loving people who will open their arms to you.From the devastating bombings to the people and their families learn to understand why a trip there should be on your list. Wonderful things happen when you open your heart to volunteer and work with those with disabilities. When we give we open our heart to caring for others and when we care for others we experience a whole new found love and respect for people who are challenged in life.Listen as I share my stories of twelve years working in this field in Darwin Australia and Canada. Emotions are your guide to how your life is at any moment so learn to listen to them and know that you can move up that emotional scale from upset or depression to fulfillment and happiness again.You just need to know the steps. Human Behaviour, Self esteem, self worth ,grief and love and stories of my life both growing up in New Zealand where I was born to living in Australia and travelling through Bali extensively and to many other countries.